There is a lot of confusion surrounding the best water treatment solution for your homes water. There are major differences between water filters, water purifiers, and water softeners. Many consumers use these terms interchangeably and believe they perform similar process however this is not the case. Each of these water treatment options has its own process and removes completely different impurities within your homes water. If your goal is to have cleaner drinking water that is free of lead, chlorine, and other impurities should understand that a water softener does not meet this goal. 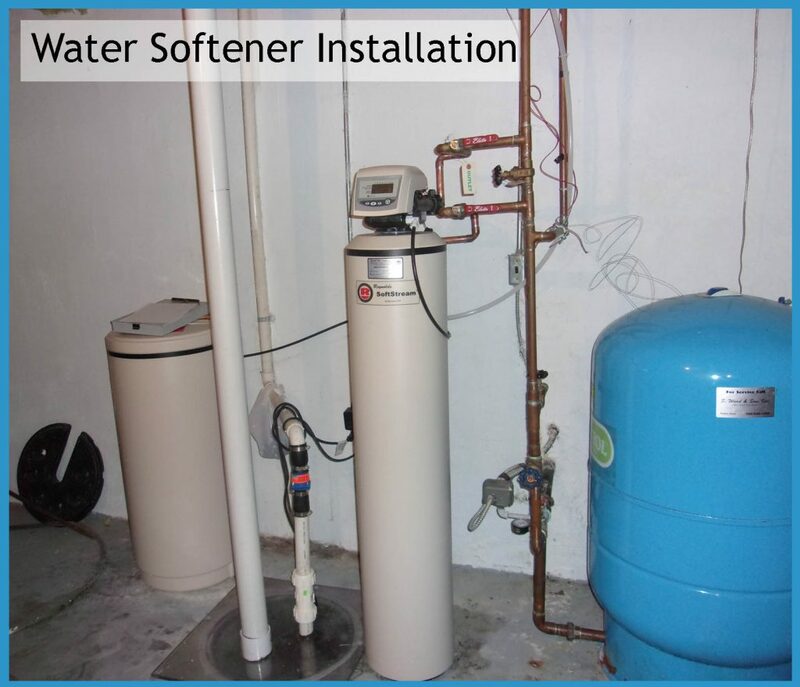 Instead water softeners are meant to remove scale buildup from water. Before comparing filters, purifiers, and softeners it is important to know what we are using them for; what is it that we want to remove from the water? Natural water picks up chemicals compounds, minerals, and impurities get picked up along the way. Calcium, magnesium, chlorine, pesticides,herbicides, waste, bacteria, and even viruses can be picked up by your homes water as it travels into your home and out through your faucets. These impurities should be removed from your homes water supply before it is utilized for drinking and cooking as if ingested can present issues to one’s health. Water filters and water purification systems can help remove the impurities mentioned above. Other items, unrelated to the health of your water can also build up in the water supply and if left untreated can present problems with buildup in your homes plumbing as well as reducing the lifespan of your appliances. The minerals that allow scale to build up are only removed with the usage of a whole house water softener. Water filters can be installed to treat water at the point of use or to filter water throughout the house. A filter can be used to remove and/or reduce impurities like chlorine,lead, chromium, copper, nickel, and more. Water filters also help to inhibit the growth of algae, fungi, and bacteria in water although should not be considered the end all solution for these water impurities. Water purification systems help to fully remove the bacteria and viruses in the water. Purifiers do not remove chemical contaminants like water filters do however when used in conjunction with one another they prevent chemical and natural chemicals from ending up in your homes drinking water or water supply in general if installed to purify and filter the water throughout the whole house. There are two types of water softeners: one that uses salt and one that uses potassium chloride. Although two very different systems they do offer the same solution in that they remove the minerals and impurities in the water that create build up in your homes plumbing. Water softeners don’t target the contaminants in water or even make it safer to drink however they do filter out the ick in water that results in appliances running inefficiently and help to prolong the longevity of your homes plumbing, appliances, and such. Before you purchase a water treatment option it is important to have your water tested by a professional water treatment expert. They will help to pinpoint the type of water system that you need for your exact problem. Some water may use a combination of treatments while some water issues may be addressed with just one option. In the most problematic water systems it may be necessary to install all three systems to work in conjunction with one another. The experts at Reynolds Water Conditioning have a solution to your homes unique water quality needs including: arsenic, bacteria,chlorine, rotten egg smell, fluoride, hard water, iron, lead, acid, tannins, radon, and more. More information on our water treatment solutions including water softeners and conditioners, water filtration and purification, reverse osmosis drinking water, and iron &odor removal can be found online at https://reynoldswater.com. Next: Next post: How Exactly Is My Cataract Going to Be Removed?